CLA45 AMG with appropriate plates won't buff right out. This didn't pop up on oppo yet, so have some pretty photographs of a wrecked CLA45 AMG; a first if I do not err. 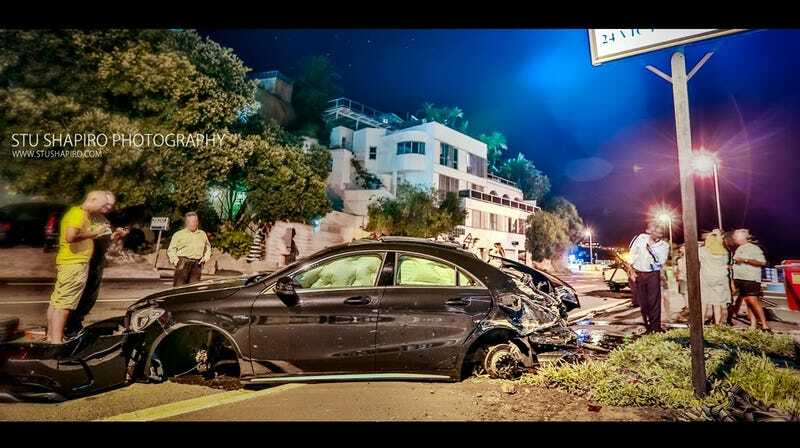 Little seems to be known about this crash involving a Mercedes CLA45 AMG in Cape Town. It certainly looks like the car won't see the road anytime soon ... if at all. Also, if the aesthetic appeal of the images fails to entertain you, feel free to go on and read the plates. Heh.